Plus, with zero fat and 110 calories per serving, it’s perfect to support your fitness goals without undoing any of your hard work — enjoy an indulgent-tasting shake whether you’re looking to lose weight, tone-up, or gain muscle. Chocolate: Milk Protein Smooth, Cocoa Powder, Dextrose, Cellulose Gum, Xanthan Gum, Sucralose, Carrageenan, Maltodextrin, Acesulfame K, Gum Arabic, Salt. 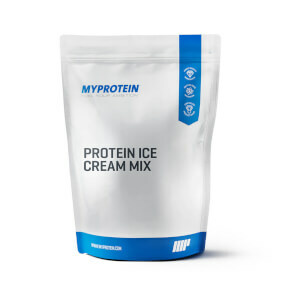 Vanilla: Milk Protein Smooth, Maltodextrin, Gum Arabic, Sucralose, Acesulfame K.
Strawberry: Milk Protein Smooth, Dextrose, Maltodextrin, Gum Arabic, Sucralose, Vegetable Juice (Color), Acesulfame K.
MyProtein has some of the highest quality protein powders and this one is not an exception. If they packaged them in a tub like other brands or sent them in packages with functioning zip locks, I'd give them 5 stars. The bags the protein is contained in is fine other than that. I can't ever get the product to stay fresh because they won't seal. I just transfer them into another brand's tub container. This makes a mess and is a big hassle, so I hope they fix this soon. I was optimistic this time when I saw the new look on the packaging, but it's still the same dysfunctional seal. If you want a tasty milkshake after your half-rate workout, go to McDonald's. I can't believe the generation of prima donnas we have in the fitness industry nowadays. "Eew it tastes yucky" then sit your soft behind on the couch and give up already. Do you cry when the weights are heavy and your muscles are burning? If you can't handle the protein, how in the world are you gonna survive the workout? 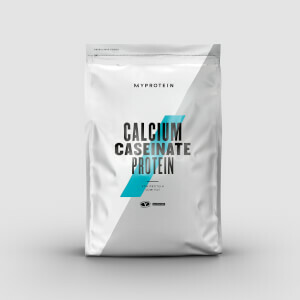 This protein is harder to mix because it's not instantized or hydrolized, meaning it's less processed, higher quality protein. It's about getting a job done. This product is a tool, not a snack. You whiny babies have the game all wrong. And if you ordered anything other than unflavored, maybe start by checking your diet. I've had all types of protein powders: whey, isolate, concentrate, hydrolyzed, casein, etc, but the Vanilla flavor of Milk Protein is just plain terrible. The powder itself is this strange chalky texture, that sticks to everything including the inside and outside of the scooper, meaning it gets absolutely everywhere. The taste is only faintly similar to vanilla, very unpleasant. And it takes forever to fully blend in a shaker bottle. I'm very unhappy with this product. Will probably be my last MyProtein purchase. Too fine! Dusty and messy! Will not reorder smooth milk! This reminds me of the ol' school protein powders back in the day. It does not mix well unless blended and even then you're going to have a thick chalky shake. A lot of liquid and a lot of another protein. Tastes great and does its job, but mixes terribly. Turns yogurt into concrete and you need at least 6x as much liquid as powder in order to not have a thick shake that you can actually drink. Impossible to drink in a shaker cup unless you shake for a long time, so use a blender. Still worth it and a good value, but a little disappointing. Pre bed, I'll mix the unflavored with some flavored whey isolate or a banana before bed. Yummy. I also use a little to thicken up the unflavored Whey Isolate a little in my almond/coconut milk I pour over cheerios in the morning. It gets too thick in cereal used by itself. Doesn't dissolve that well compared to the other powders, but I use a stick blender, and that does the job. I haven't actually tried this mixed in water or milk yet, only in oatmeal which didn't go great but wasn't terrible either. It doesn't mix into the oatmeal as well as my old casein from a different brand and the flavour wasn't as noticeable but it was decent and I still use it in oatmeal. The price was great and the deals here are unreal. Not sure yet, have only tried oatmeal. I think that I may have got a bad bag but this protein is borderline undrinkable sometimes. It tastes bad and is super clumpy in bag leading to me having to use a real blender rather than a shaker bottle to even be able to drink it. Seems to be effective but I can not even drink it without blending in some berries or peanut butter, it is that bad.